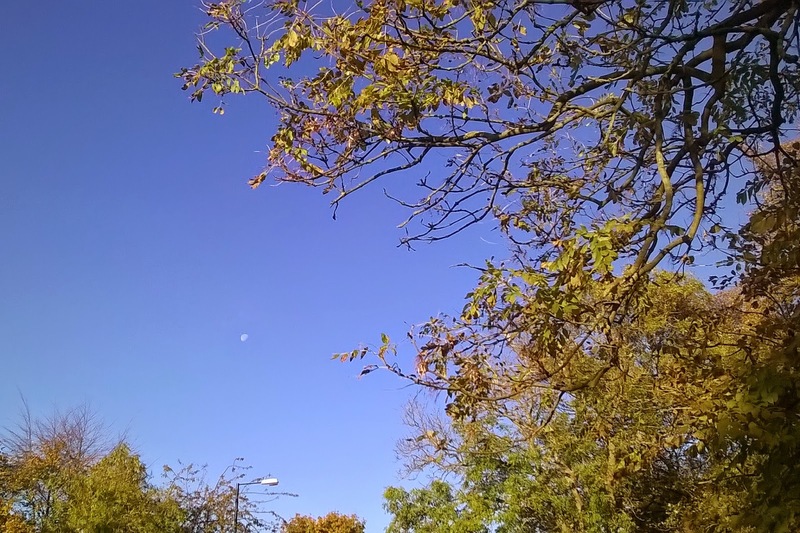 Today was a beautiful bright summer morning with a slight cold nip in the atmosphere, surprisingly very pleasant. It was about 9:18 and a very quiet morning with very few people about. There was delightful chirping of bird song singing away, with the addition of complementing harmony of faint Sunday church bells adding to the glorious morning. 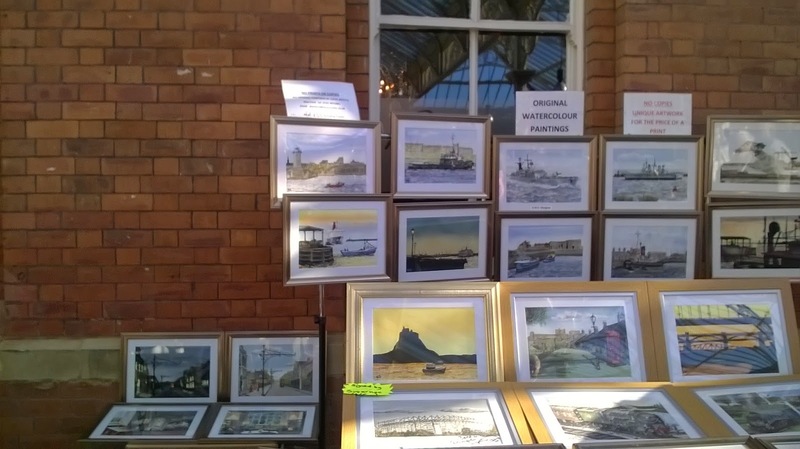 I decided to take advantage of this beautiful morning and traveled to Tynemouth Market. I got the bus into Newcastle city centre, as I was walking through the local Green, which is a local place for all the young alternatives to congregate on Saturday. This once was my local haunts many years ago. 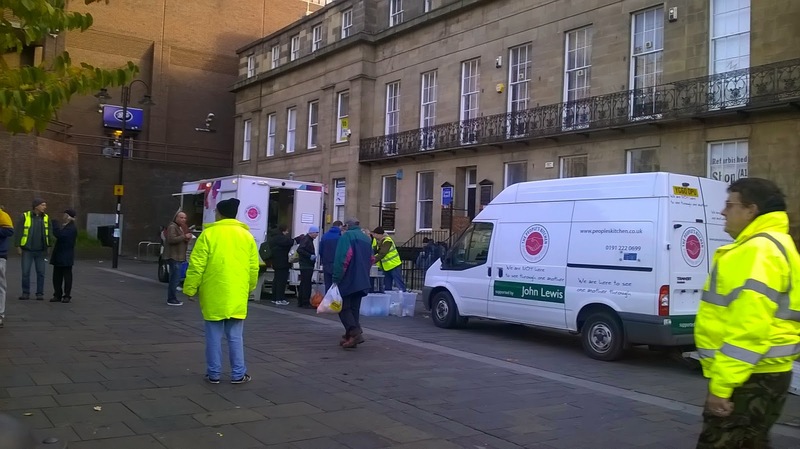 I saw a fantastic site of the People's kitchen handing food out to the locals, who need it. I love seeing things likes this as it reminds me that there's still good in the world. I was surprised that a sign of John Lewis supported this cause. For those not from the UK, John Lewis is upmarket department store. I ended up getting the bus to Whitley Bay, then I got the metro to Tynemouth, which is about one stop train stop distance. 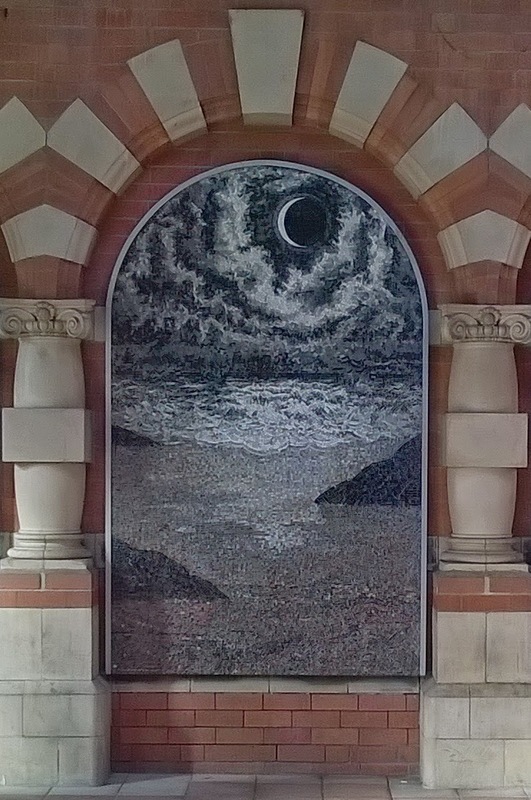 Whilst, entering Whitley Bay metro station, I saw a fantastic mosaic of a sea scene at night. I loved this because its an unusual sea scene to be a dark and turbulent night. As most sea scenes are typically calm and tranquil. 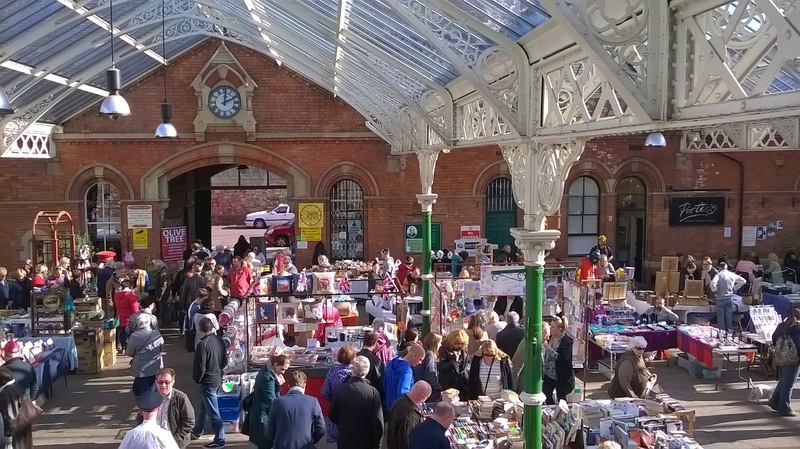 Tynemouth market commences on a weekend in an old Victorian train station, which is divided by the metro train track and the market takes place on both sides of the platform. Tynemouth station is one of the oldest stations in Tyne and Wear, it was designed by William Bell and was opened in 1882, by the Northern Eastern Rail company. 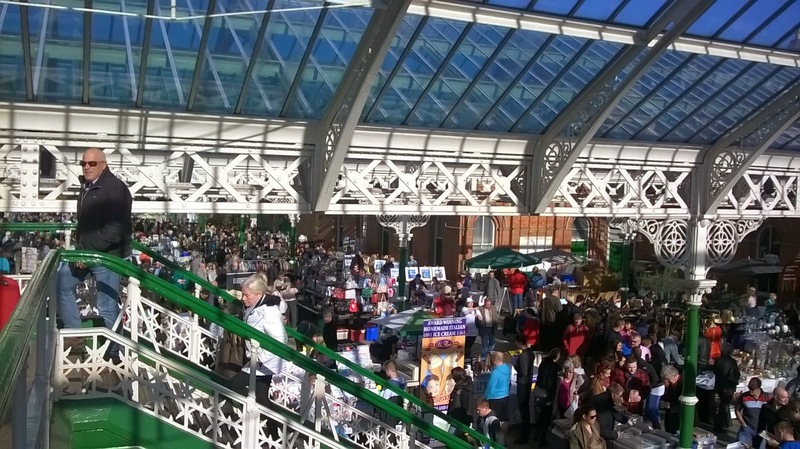 The train stations reopened in 1980 and was the terminal for the Haymarket to Tynemouth metro line. In 1982, it became a through station for the metro once the St James to North Shields line was built (1) . 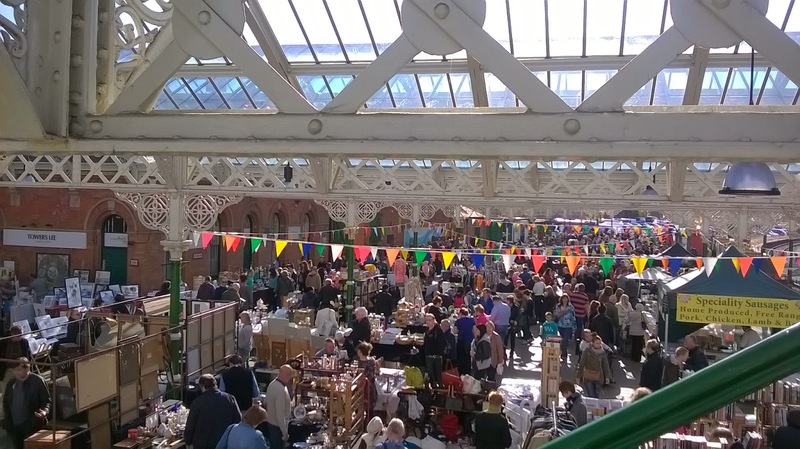 The flea market sells a range of goods; antiques, bric-a-bac, collectibles, local crafts, vintage clothing, jewellery and a range of foods. 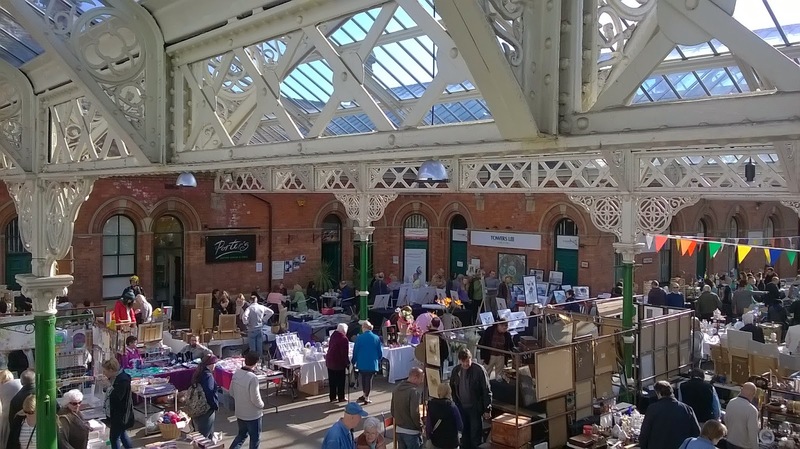 I decided to go to Tynemouth as I hadn't been there in years, I started going to the flea market when I was about 14 years old, it was a great place to go on a Sunday morning, and I would find fantastic finds. I used to regularly go with my ex-boyfriend to the market, then it was much smaller, back then. I was surprised to find how much the market had extended, since I had last been visited. On my trip, I didn't buy much there, but it was a pleasant trip out. I brought a gorgeous pair of gloves and prepaid to have a complementing hat made. 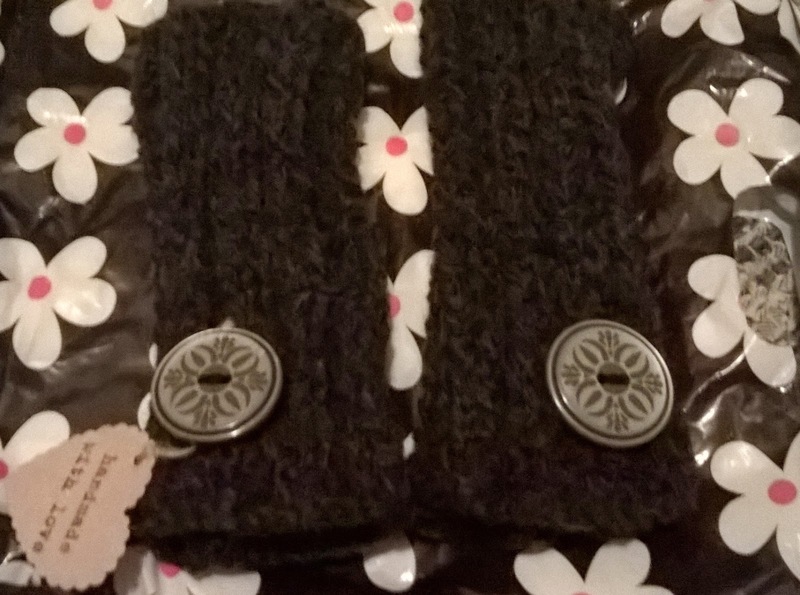 I've only paid £10 in total for the hat and gloves, I can't believe these are hand made locally.I loved the colour and the grey button. 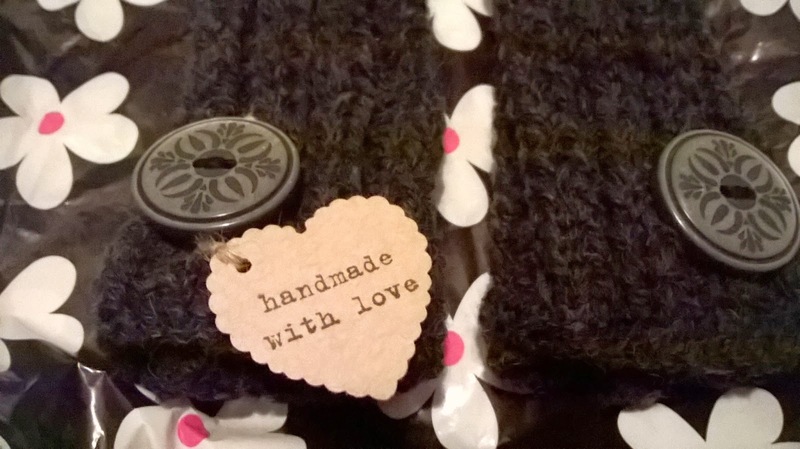 I love the small detail of the hand made tag, it adds to hand made quality of them. 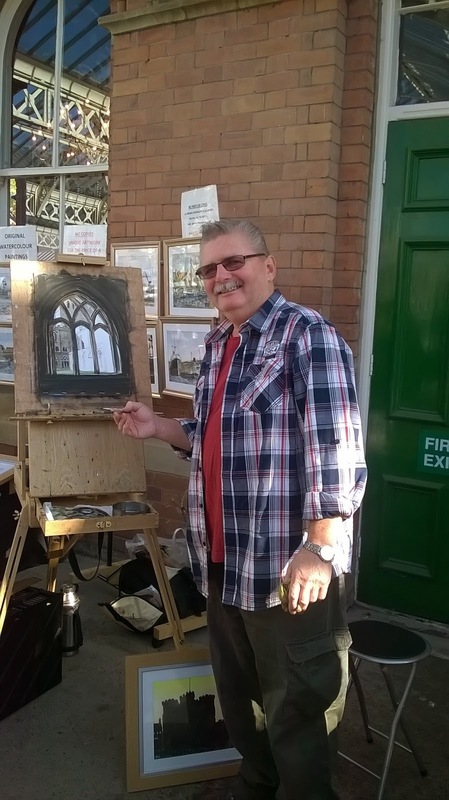 This was a local artist I met, named Alan who sells original paintings that he and his wife, Joan have painted. 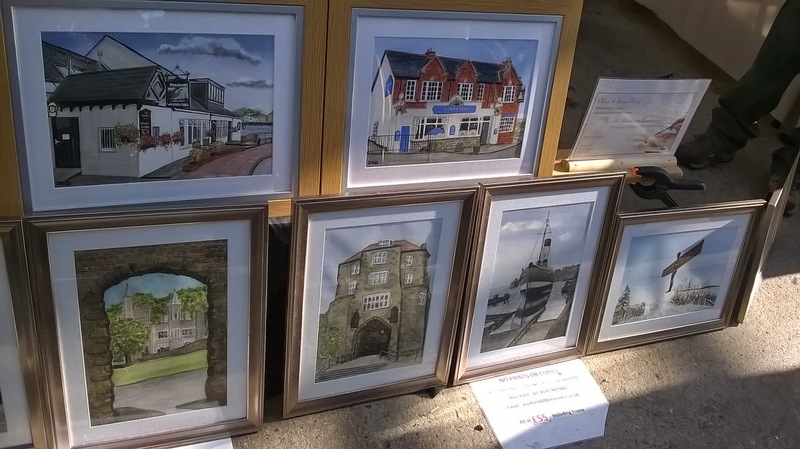 They mainly paint local landscapes using water colours. Alan recounted how he and Joan painted as a hobby, and they decided to sell their work. Alan was an absolute joy to talk with about their work. He explained to me that he thoroughly researched all the paintings he commenced, and explained the history about the subject matter and a great antidote to accompany the artwork. Alan told me he was retired and originally taught technical ship drawing at a local college, which required structured precision. Personally, he preferred to utilize a more free style of painting and was influenced by the Impressionism movement. He showed me his wife's work, which differed to his style, Joan's work was more precise and structured. 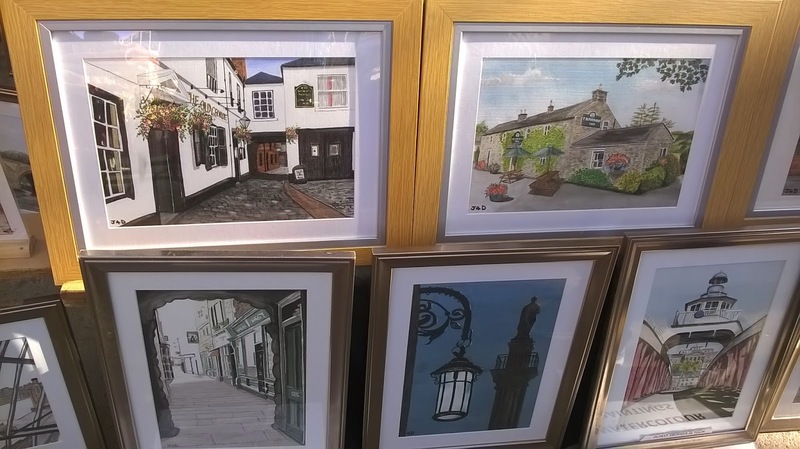 Alan was very passionate, about only selling original paintings, rather than selling prints or copies. Alan was very helpful and gracious enough to let me take some photographs of his work. I explained I write a blog, and I wanted to include him on it. If anyone is interested, in purchasing their work here are some details. 1.Wikipedia. (2014).Tynemouth Station. Available: http://en.wikipedia.org/wiki/Tynemouth_Metro_station. Last accessed 12/10/2014.